A few months after Naomi is devastated when her sister is killed by a car walking to a friend’s house, she graduates college with an art degree and marries the man of her dreams, Jason. They embark on their newly romantic life together in Pacific Cove. However, life is less than happy when Naomi begins experiencing visions that keep her on edge. Haunted Visions is a very light, quick read. My only issues is that the narrative tend to switch from past to present tense and back again, which can be confusing. The characters were two dimensional and their dialogue can be mediocre at times, but the story itself was very enjoyable. I read it in one sitting, eager to find out what was going to happen. 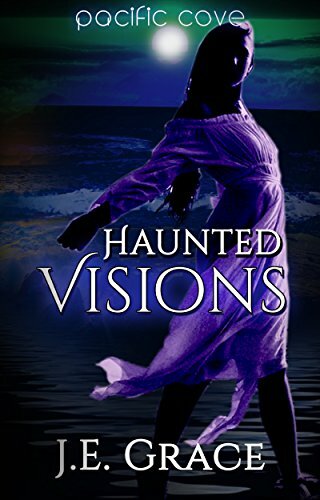 Haunted Visions is recommended to those who enjoy stories that include faith, love and has supernatural elements entwined. It is one that I wouldn’t mind reading again, and I’d be interested in seeing what other stories Ms. Grace will come up with. J.E. Grace was born in California and has a background in Retail Management. 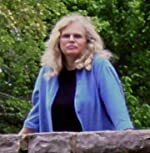 She now resides in the Midwest and retired from a career in real estate in 2012 to pursue her passion-writing. Her interests include poetry, painting in traditional oils/pastels, digital art and photography. Her work can be viewed on Society 6, Zazzle, and Fine Art America. This is her debut science fiction novel. She tries to make her characters interesting and believable so that her readers can relate to them. Her writing has spiritual overtones due to her deep roots in her faith. She is currently writing a fantasy novel with relationships to Christian values and is in the planning stages for a sequel to “The Zarion-Saving Mankind. Her new Pacific Cove Series Short Reads; Haunted Visions-Book 1 and Testament of Faith-Book 2, are due to be published Aug-Sept. 2016. There will also be a Book 3, entitled, “Love’s Enduring Legacy,” which she is currently working on.